Our mission at Middle East International School (Al Sharq Alaswat) is learning through critical thinking, problem solving and creativity to be competitive in the international community. To achieve our mission, we provide a supportive environment and an exemplary educational program built on a foundation of respect and high standards for achievement and effort. 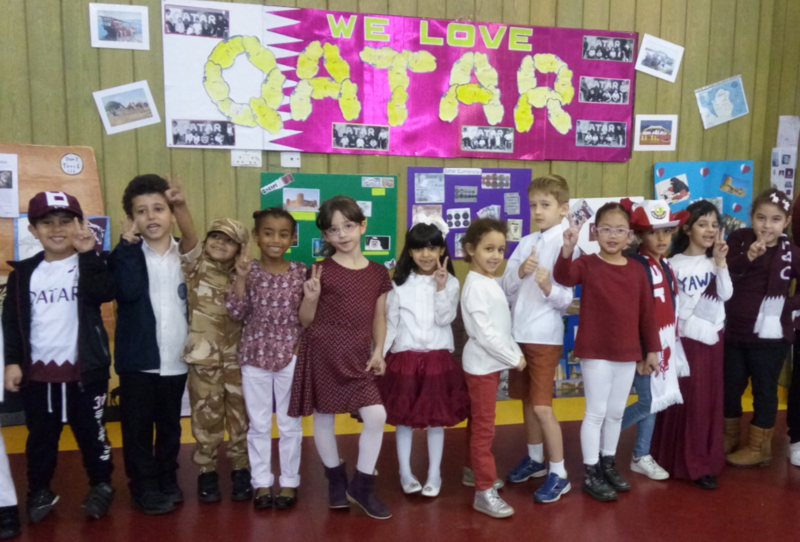 Today, in Qatar, we prepare students for their future, one that can hardly be imagined. We know that critical thinking skills will be crucial to their success. And, we know that theirs is a digital world; their future will be more strongly affected by technology. Excellence in education, as we enter the 21st Century, presupposes that technology is seamlessly integrated through our instructional program. Our vision is excellence in education by integrating technology in the instructional programs. MIS seeks to produce students who are prepared to enter college, preferably a U.S. institution of higher learning; however, students do qualify for university status in institutions of higher learning all over the world. We offer a strictly academic-oriented program of study. MIS students must take responsibility for their actions and behave appropriately at school and school events. One of our goals is to help students become caring and responsible citizens who are ready to make a contribution to society. Students display responsibility by following classroom/school rules, doing their own homework, coming to class on time, picking up after themselves, and finding ways to make a positive contribution to the school and community. Integrity is an essential value for every person at MIS. Integrity is defined as honesty and good moral character. Students display integrity by doing their own homework, submitting their own work for assessment, and by reporting dishonest acts. Being a part of a community means sharing in a fellowship with others, as a result of common beliefs, attitudes, and goals. A community is extremely important in the well-being of any human being, in particular, students and young people. Empathy is the ability to understand the feelings or rationale of another human being. At MIS, we strive to cultivate a compassionate environment based on the ability to relate to others in our community. These Core Values align with our mission and vision as we believe that developing technologically competent, world class students means also developing their capacity for these ideals.